If you weren’t certain, cuffing season is all year round for us. 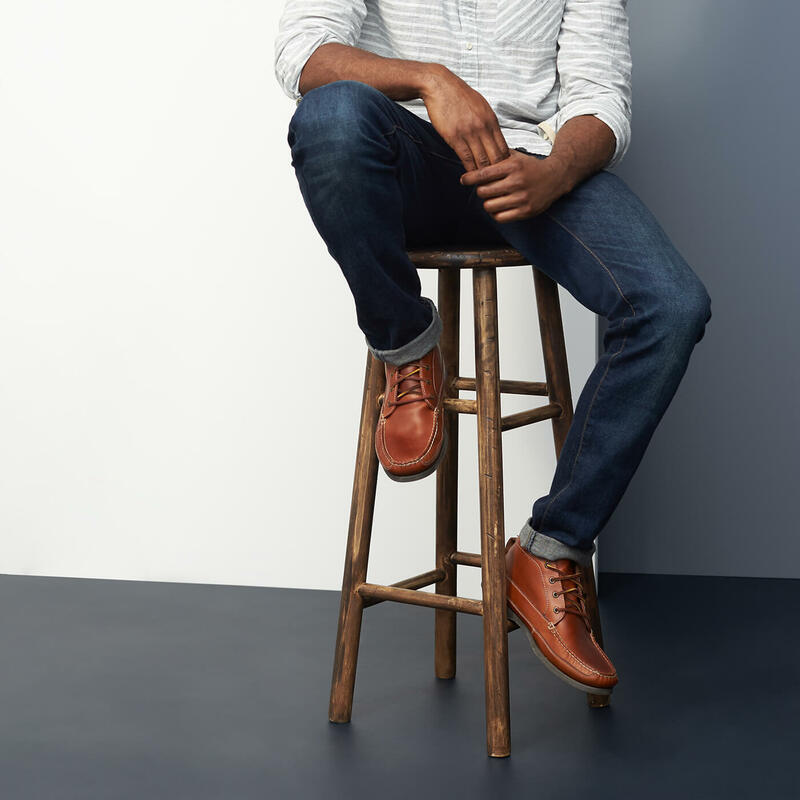 If you’ve got jeans that you don’t feel like taking to the tailor or pants that need a new look, try a simple cuff to breathe some new life into your bottom half. Need some tips? We’ve got you covered. Keep reading to learn exactly how to cuff your pants. With the right fit and wash, you’re pretty much ice cream—and cuffing is the cherry on top. It’s a great (and easy) way to inject style to an everyday basic. There are a few different kinds of cuffs, based on the fit of your jeans and the heft and length of your fabric. What: A few tight flips of the hem. Works With: Skinny or slim jeans. Pair With: Sneakers or casual shoes. What: A 1″ fold up. You can tuck the hem behind the fold. Works With: Most jeans—go crazy! Suited For: Both casual and dressy styles. Pair With: Sneakers, suedes, leathers, boots. Pair With: Boots and heavier shoes. Cuffing is optional, so have fun with it. Remember that wider cuffs translate as more casual. If you’re a shorter guy, keep your cuffs thinner as they can truncate your legs. And skip cuffs altogether on baggy or loose styles. Got your cuff sorted? Tell us about it.